The ashen legs of the typical British man are amongst the most objectionable sights in the known world. That they are a sight at all is down to short-wearers’ dogged indifference to the sick-in-throat feeling they are inspiring in others. But it’s hot right? What are you supposed to do? In my head, the only appropriate course of action is to never wear shorts. I don’t care how hot it is. Keep your grotesque butcher’s off-cuts hidden from view. Period. No true gentlemen of culture is caught with his deathly pins out. That is unless you’re anyone except me, and you have a less preposterous and more healthy relationship with short-wearing. In which case, you may find the above of interest. This mash-up of cotton and polyester is from YSTRDY’S TMRRW, a Japanese brand helmed by designer Kazuya Sugano. There’s a swim short feel going on with that part-elasticated waist and the tie fastening. These are practical shorts. You could wear them to paddle in. Or sit, on hot sand, squinting to make out your laptop screen. Not only that, they’re styled up like a dressmaker’s fever dream. Seams are left unfinished and tufty and it looks like three different fabrics are fighting for prominence. These are statement shorts. 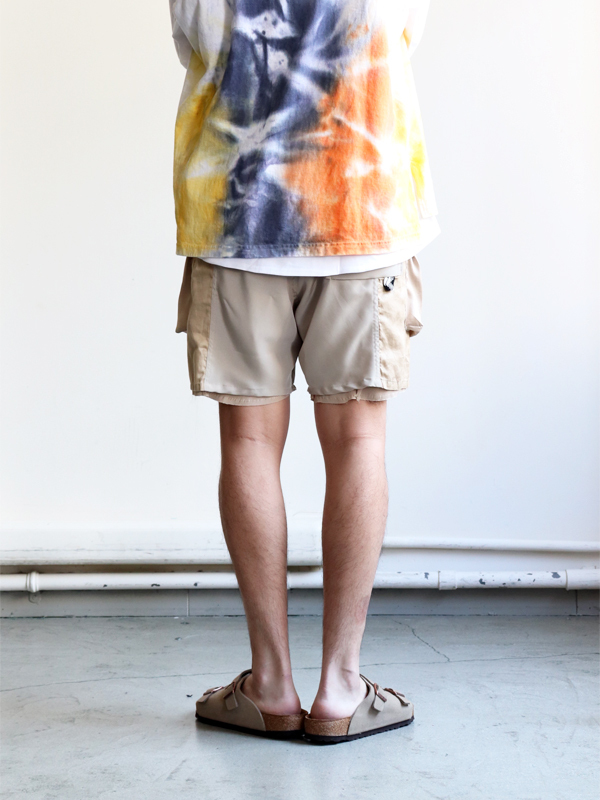 These are shorts for men that don’t normally wear shorts. But when they do wear shorts they want people to know that they don’t normally wear shorts. 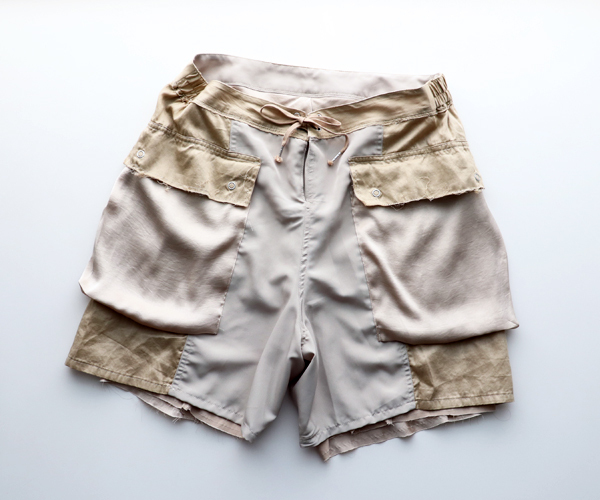 These shorts tell a story. Not an actual story. Not with a beginning a middle and an end. 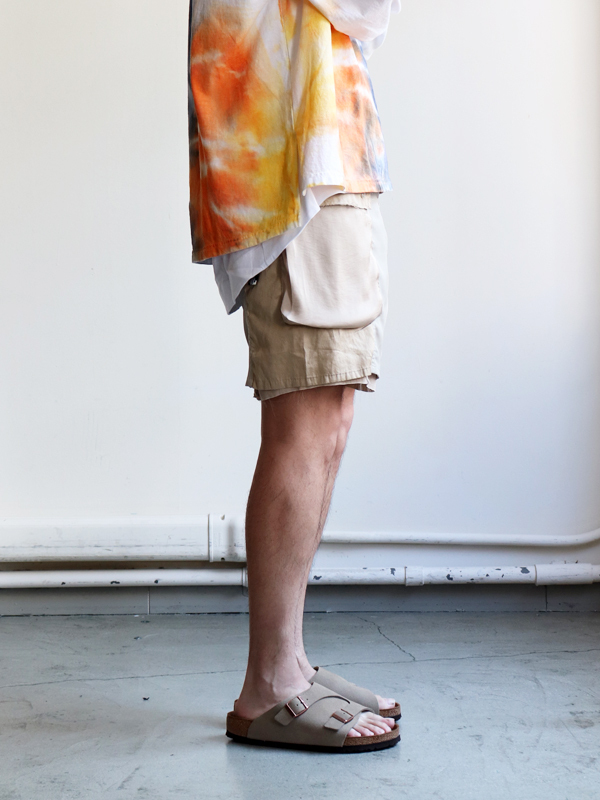 More a never-ending saga of obscure summer wear, the men who seek them out and then wear them, while dreaming of being indoors playing Fortnite.